← Why is it so hard to learn programming? 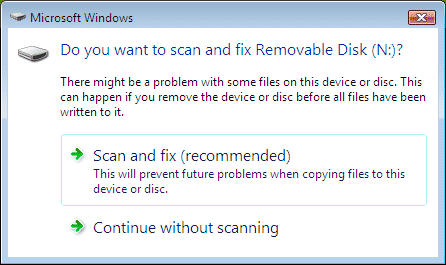 However, you may want to defragment removable drive, and sometimes it’s missing in this list. Yes — the drive is plugged-in, you can browse/modify files on that drive, yet you can not start defragmentation — because it’s simply not in the list Defragmenter shows you! So — you should ‘scan and fix’ your drive before it appears in Defragmenter’s list. If your drive doesn’t require ‘scanning and fixing’ and still doesn’t appear as available for defragmentation — please keep googling. You are welcome to share you story in the comments. 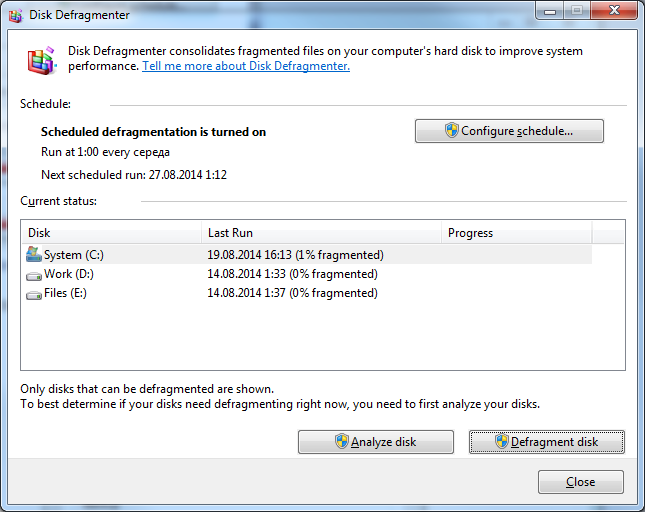 This entry was posted in Uncategorized and tagged defragmentation, drives, hdd, windows. Bookmark the permalink.